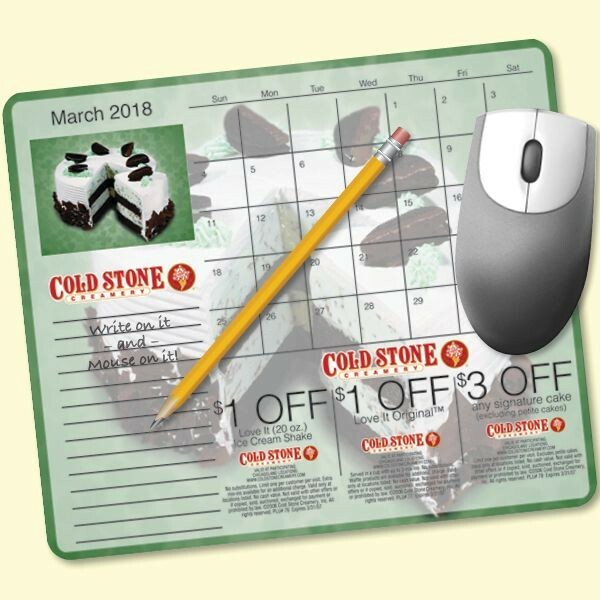 #MPLO18 7 1/4" x 8 1/2"
7.25"x8.5"x18 Month-MousePaper® Calendar Recycled Note Paper (Landscape) Mouse Pads have your message printed on each month. Built with post-consumer recycled paper - pages have 30% and backer is 100%, these Eco-Friendly calendar mouse pads are a promotional "triple-threat" giving you the full impact of a monthly calendar, note pad, and mouse pad. You can start your calendar on ANY month to create an effective calendar promo any time of year. Minimum order is 250 pads.